There are very few organizations that can operate solely on a local level without interacting outside of their own state or country – whether it is a supplier, a customer, or business to business. Therefore, being able to communicate with individuals with a different cultural background than oneself is important to be successful in a diverse workplace. Employers value and seek out candidates that already have developed this skill set. According to Caterpillar Treasury Support Manager Matthew Eickoff ’03 global fluency is being able to understand that people don’t all think alike and that cultures can influence how people think. Employers seek candidates who are able to engage and communicate with diverse teams and are respectful team members. “When we are focused on a project, we’re focusing on getting the work done. But we need to spend more time focusing on and thinking about people involved as well. So even if you’re doing a group project, when you’re working together, always ask the team what works best,” Eickhoff said. Going out of your way to meet people from other cultures is one example of how to develop global/intercultural fluency. Interacting with international students on campus is a way for college students to understand and learn about different cultures. Global/intercultural fluency can be developed while attending college and opportunities are in reach for every student on campus. Even just enrolling in a class or volunteering on campus can help students develop this skill set. Learning another language is also a good way to explore other cultures and how people in different countries communicate. Practicing openness, understanding different viewpoints and how others think is also essential to career success and can be partly learned through academics. 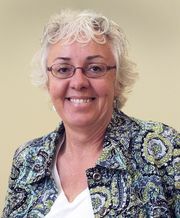 Barbara Ribbens, director of the Varner International Business Institute, internship coordinator, and associate professor at Illinois State’s College of Business explains, “The obvious way at a university to improve your global fluency is to take classes that focus on the cultural awareness.” Students can develop global fluency through different classes that focus specifically on developing cultural skills, such as Foundations of Intercultural Communication or Cross-Cultural Behavior in Business. Additionally, students can learn more about other cultures and diverse viewpoints through classes such as Sociology of Culture, and Culture, Power and Civic Life. Global/intercultural fluency can also be developed through extracurricular activities, such as joining a culturally diverse RSO like Spanish Club, United International Association, or Friday Night Live International Student Group. “There are even opportunities on campus to be a buddy to a new international student or coach English as a Second Language learners in their conversational abilities,” Ribbens said. Students can develop global fluency with simply trying to “learn a greeting” or “understand a holiday” that is unlike their own. Getting involved with different RSOs and taking various classes can really help students develop this skill set and help them prepare for the global world. “As for how I develop global/intercultural fluency I think it’s a mix of me investigating and studying different cultures such as in foreign language classes, and through interacting with people who have different backgrounds than I do,” said senior Megan Asher, vice president of the International Business Association. International Student Career Series – Hosted each semester this program serves to assist international students, but all students are welcome to attend to learn more about how international students can navigate their careers in the United States. Diversity Employer Expo – Hosted each spring to connect students from diverse backgrounds with organizations with diversity initiatives. GoinGlobal – Provided in collaboration with the Office of International Studies and Programs and available through Hire-A-Redbird, this online tool provides a complete employer directory for students to identify employers and view job openings. 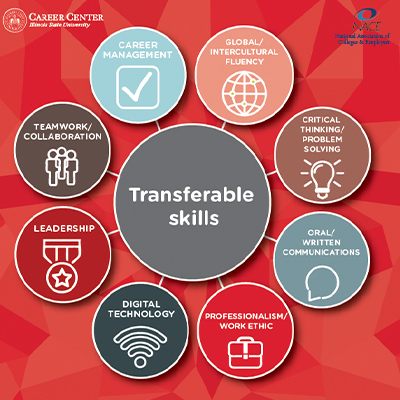 Career advising – Career advisors are available to strategize a plan to help students build a diverse network and develop their global fluency skills. Global and intercultural fluency are important skills students need to be successful in their careers and in ever-evolving global workplaces. Being an international student is difficult, compounded by our complex culture and language problems. Welcoming and assimilation assistance must come from numerous sources, including the White House, to aid these young people embarking on life’s journey. Most struggle in their efforts and need guidance from schools’ international departments, immigration protection, host families, concerned neighbors and fellow students, and even informative books to extend a cultural helping hand. Something that might help anyone coming to the US is the award-winning worldwide book/ebook "What Foreigners Need To Know About America From A To Z: How to Understand Crazy American Culture, People, Government, Business, Language and More.” Used in foreign Fulbright student programs and endorsed worldwide by ambassadors, educators, and editors, it identifies how “foreigners” have become successful in the US, including students. Good luck to all at ISU or wherever you study or wherever you come from, because that is the TRUE spirit of the American PEOPLE, not a few in government who shout the loudest! Supporters of int’l students must shout louder.